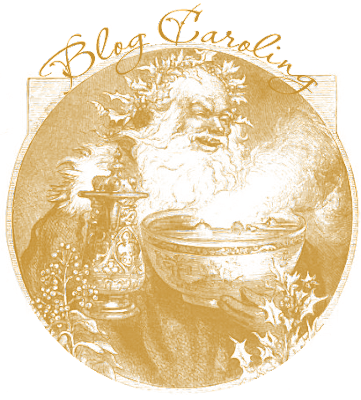 If you sing along with us, feel free to snag the Victorian Santa Blog Caroling Badge above. When you select the badge, select "Save As" and choose the .png file. This has a transparent background and will show minus the white background. From Christmas Day 150 years ago . . . I Heard the Bells on Christmas Day . . .
Over at Moultrie Journal we're Decking the Halls with a bit of Geneablogging Christmas goodness past . . . Here's mine - it's a Huron Indian Carol which all Canadian school children learn. Olive Tree Genealogy blog at http://olivetreegenealogy.blogspot.ca/2013/12/twas-in-moon-of-wintertime-jesous.html The carol is called T'was in the Moon of Wintertime. In the Huron Language it is Jesous Ahatonhia. I have provided the YouTube video of it sung in Huron, French and English. Thanks for hosting the blog caroling again this year! Merry Christmas! Merry Christmas, footnoteMaven, and thanks for once again hosting this charming digital tradition. After a bleak year, A Family Tapestry is Adding A Hopeful Voice to Blog Caroling with the Gloucester Cathedral Choir's tender offering of Gustav Holst's setting to Christina Rossett's poem, "In the Bleak Midwinter." I hadn't thought of it this year until I saw your post...thanks for the invitation! This isn't a true carol in the musical sense, but it is a favorite Christmas song. I hope you enjoy it: Mary Did You Know. My contribution-Jolly Old St. Nicholas. My Father's memory of his Mother. I'm in with another Australian favourite. So appropriate today in Sydney where the mercury has hit 95f. Compliments of the Season to all. We are blog caroling agan this year with Jingle Bells From Stanley and the Ten Sleepless Nights. Oh, footnoteMaven, I was afraid you weren't going to lead the choir this year. I'm so glad you've invited us to carol with you again. I'm singing at http://nancysfamilyhistoryblog.blogspot.com/2013/12/what-shall-we-give-caroling-with.html. Thanks and Merry Christmas to you and yours. Hello dear footnoteMaven! I've joined you for some caroling once again. This time it's "The Twelve Days of Christmas". I've shared the lyrics (in Irish and English) and the back story about the song's hidden meaning within my article "God in a pear tree: The hidden meaning behind 'The Twelve Days of Christmas'" at http://www.tierneyhistory.blogspot.com/2013/12/god-in-pear-tree-hidden-meaning-behind.html. A very Merry Christmas to you, your family, and all of your readers! And one more for you: http://100inamerica.blogspot.com/2013/12/christmas-eve-luminaria-who-can-sleep.html, in which I share my favorite Christmas song ("O Holy Night") and some special memories of Christmas Eve. OH, Holy Night on www.mytrueroots.blogspot.com The video always gets me to crying and I love Josh's voice. Merry Christmas from my special place in cyberspace to yours!